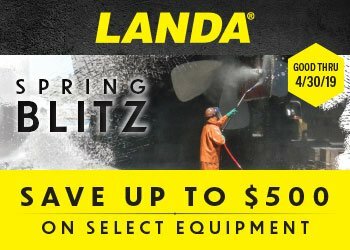 Looking for a heavy-duty pressure washer that can handle the dirt and grime indoors and out? Then the versatile Landa VHP Series are the right machines for the task. 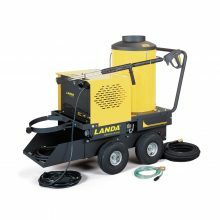 Available in both 120v and 230v configurations, this hot water pressure washer features cleaning power up to 2.5 GPM and 2000 PSI. The VHP—an abbreviation for Vertical Hot (Water) Propane—is the solution when portability is needed indoors or outdoors.